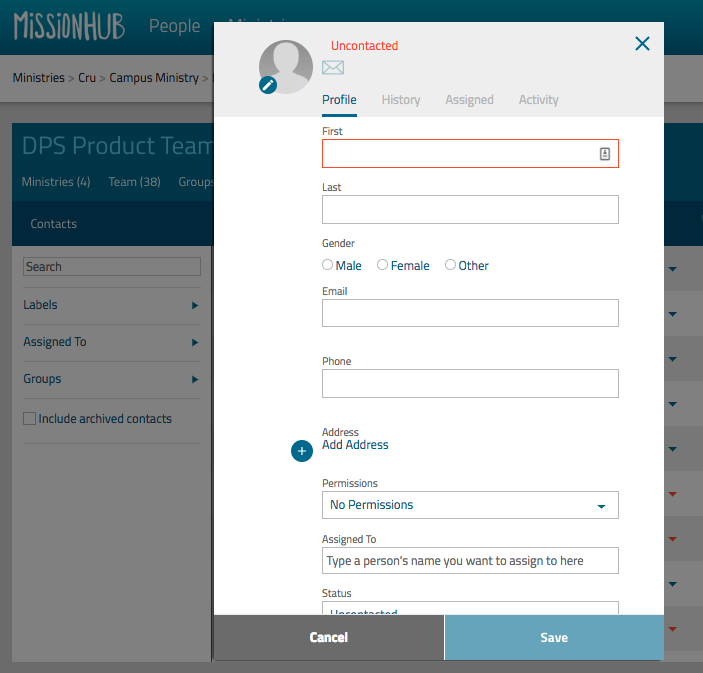 There are a few ways you can add contacts to your ministry in MissionHub web. You can manually add a contact to any ministry by clicking on the person icon on your dashboard. 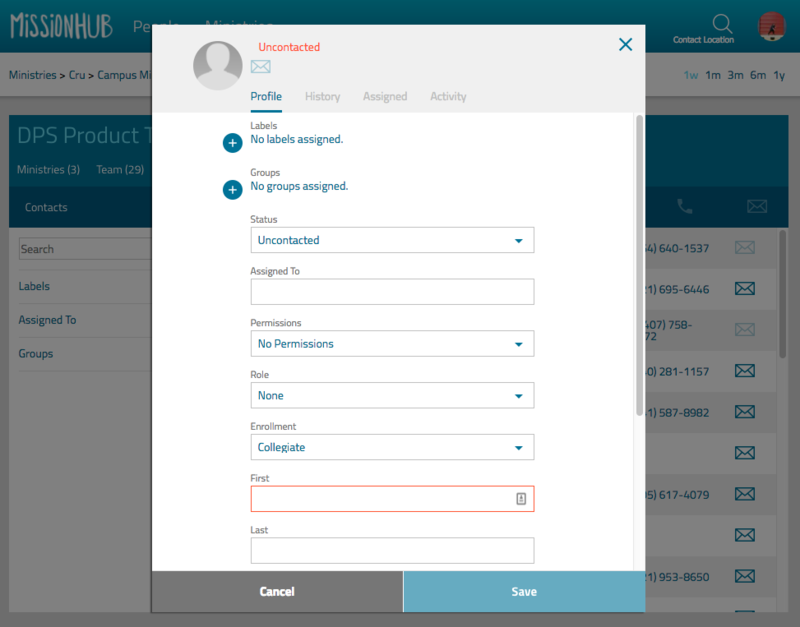 Here, you will be able to add any information you have for them, update their permission, and/or add answers to specific surveys. When you’re done, be sure to save the contact. This person will be assigned to you. You can also add manually add a contact in the MINISTRIES tab. Select Contacts under the appropriate ministry. Then click the person icon in the menu bar. Enter the details you have and click save. This will not automatically assign the person to you - be sure to assign this person as needed. If you’d like to import a spreadsheet with more than one contact, you can do so with a CSV file. Start by hovering over TOOLS in the menu bar under MINISTRIES. You'll want to make sure you have a corresponding survey for this import. If you don't yet, create a new survey before importing a CSV file. Next, you'll be able to select your spreadsheet (make sure it is saved as a CSV file). Match the appropriate column headers with the corresponding MissionHub question/column headers in the dropdown menu to the right of each question and continue. You’re almost done - just add any labels you’d like to add to these contacts and click Import. You’ll receive an email once the import is complete.